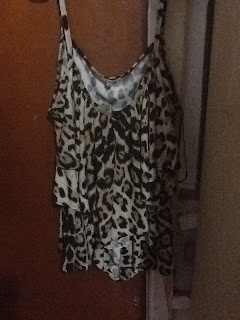 I went shopping at valley girl and got this really cool animal print top, it was really bad lighitng in my room but the colour of the top is way better in person. The shop was closing and i only had time to get one thing, and i could not get this without trying it on because i don't have valley girl where i live so i tryed it on and it fit! I wish i could get more but the shop was closing. They had so much awesome stuff but i will have to go there early next time and get more clothes and jewerly, hopefully.